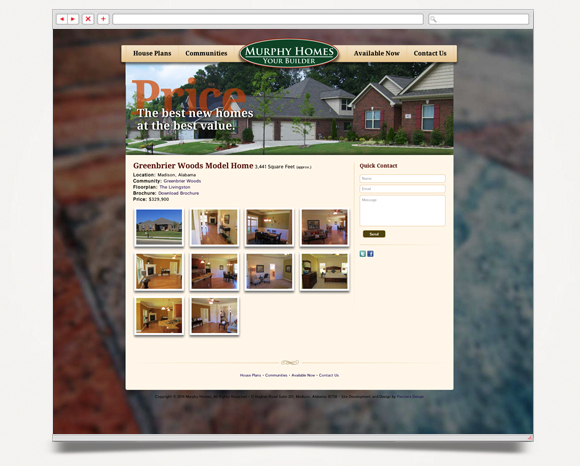 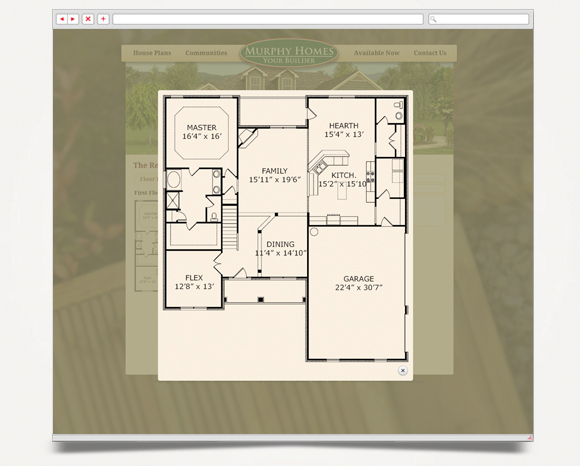 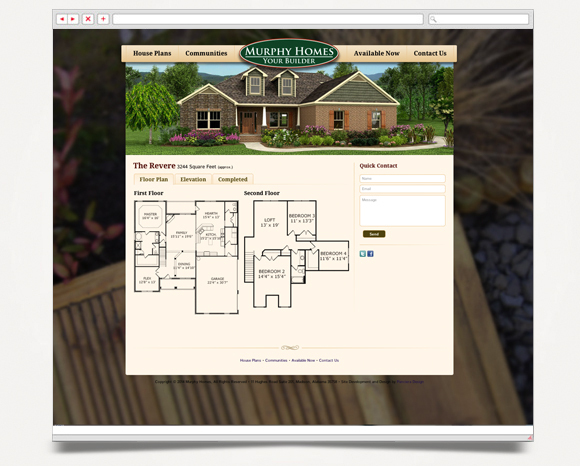 Custom website with Facebook feed blog feed, floor plan gallery and available home gallery. 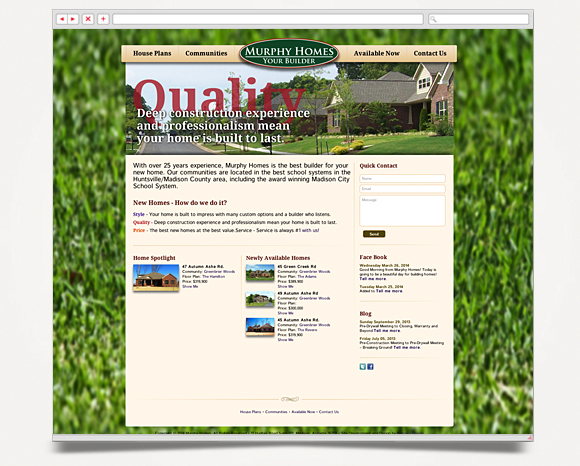 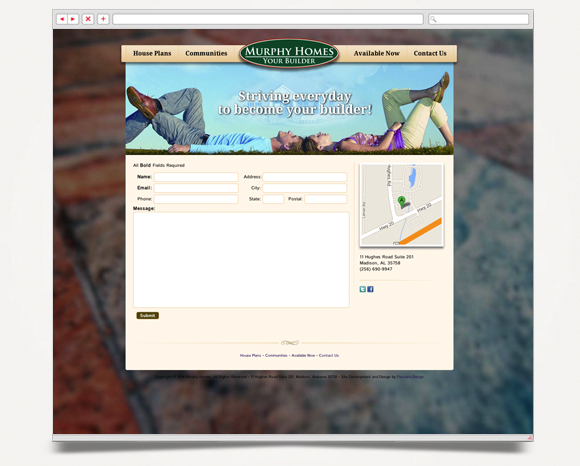 A web-based administration allows client to self manage content through a browser. 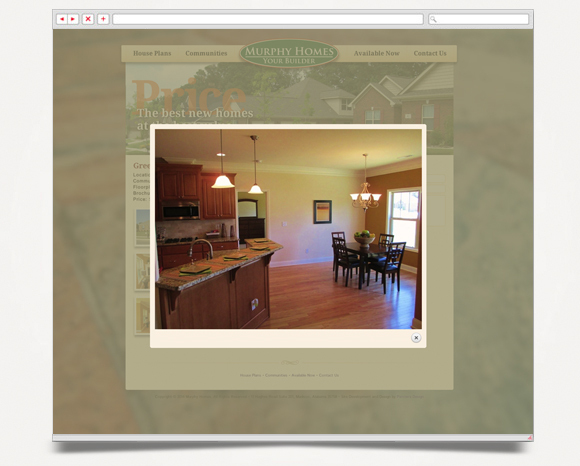 Site was built on SiteDwell™, Panciera Design's own content management system (CMS).